The McDonnell Douglas (now Boeing) AV-8B Harrier II is a family of second-generation vertical/short takeoff and landing or V/STOL ground-attack aircraft of the late 20th century. A British-American development of the Hawker Siddeley Harrier and Sea Harrier, it is primarily used for light attack or multi-role tasks, and is typically operated from small aircraft carriers, large amphibious assault ships and austere forward operating bases. Although the AV-8B Harrier II shares the designation with the earlier AV-8A/C Harrier, the AV-8B was extensively redesigned from the previous-generation Harrier GR.1A/AV-8A/C by McDonnell Douglas. British Aerospace joined the improved Harrier project in the early 1980s, and it has been managed by Boeing/BAE Systems since the 1990s. The AV-8B is used by the United States Marine Corps. The British Harrier GR7/GR9 versions are used by the Royal Air Force and Royal Navy. Versions are also used by NATO countries: Spain and Italy. The Harrier family models are referred to commonly as the "Harrier Jump Jet". Bristol tested an improved version of Pegasus engine, named Pegasus 15 during the early 1970s. The engine was more powerful and had a larger diameter. The larger diameter meant it could not readily fit in the Harrier. During this time a joint US/UK team completed a document defining an Advanced Harrier with the Pegasus 15 engine in December 1973. The Advanced Harrier was intended to replace original UK and US Harriers and US A-4s. It would also be operated by the Royal Navy from command ships. The Advanced Harrier was unofficially named "AV-16" with the purpose to double the AV-8's payload/range capability. The UK pulled out of the project in early 1975 due to decreased defense funding. The US was unwilling to fund development by itself and ended the project later that year. Interest remained in the US, so a less ambitious, though still expensive project was undertaken by McDonnell Douglas on their own catered to U.S. needs. Using knowledge gleaned from AV-16 development, though dropping some items such as a larger Pegasus engine, the development work continued on an improved Harrier for the U.S. Marine Corps. The aircraft was centered on the Marines' need for a light ground attack aircraft with increased payload and range. The plan for Harrier II development was authorized by the Defense Department in 1976. To test the new design, two AV-8As were modified with the new composite wing, lift improvement devices, modified intakes, redesigned exhaust nozzles, and other Harrier II aspects in 1975. These modified AV-8s received the YAV-8B designation and were flight tested from 1978 until 1979. 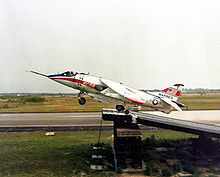 Picture - A YAV-8B Harrier II tests a ski jump at Naval Air Station Patuxent River. Positive results of the YAV-8B testing led to the award of a development contract in 1979. In the early 1980s, the British rejoined the program. The UK Harrier II version is based on the AV-8B but uses different avionics, and one additional missile pylon on each wing. McDonnell Douglas and British Aerospace (BAe) jointly produced the aircraft. Aircraft production occurred at McDonnell Douglas' facilities in St Louis, Missouri. Manufacturing by British Aerospace (later BAE Systems), at their Kingston and Dunsfold facilities in Surrey, in the UK. By the 1990s McDonnell Douglas merged with Boeing, and BAe was merged into BAE Systems who went on to manage the family into the early 21st century. Between 1969 and 2003, 824 Harrier variants were delivered. While manufacture of new Harriers concluded in 1997, the last remanufactured aircraft (Harrier II Plus configuration) was delivered in December 2003 which ended the Harrier production line. The Harrier had an accident rate that was three times that of the Marine Corps' other airplane, the F/A-18 Hornet. The AV-8 was dubbed a widow maker by some in the military. Picture - An AV-8B from VMA-231 at Oshkosh 2003. The AV-8B Harrier II is a subsonic attack aircraft. It features a single Rolls-Royce Pegasus turbofan engine whose two intakes and four synchronized vectorable nozzles (two cold forward, two hot aft) are located very close to the turbine, where most fixed-wing aircraft have their engine nozzles at the back. The Harrier II also has smaller valved control nozzles in nose, tail and wingtips to provide control in low airspeed. 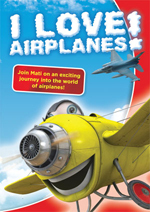 It has two landing gear on the fuselage and two outrigger landing gear on the wings. The AV-8B is equipped with six wing and three fuselage hardpoints for carrying a 25 mm GAU-12 cannon, other weapons and external fuel tanks. The AV-8B cockpit was also used for the early trialling of Direct Voice Input (DVI) using a system developed by Smiths Aerospace. The main attack avionics system is the Hughes nose-mounted AN/ASB-19. Fielded in 1991, the Night Attack Harrier incorporated a Navigation Forward Looking Infrared camera (NAVFLIR). The cockpit was also upgraded, including compatibility with night vision goggles. Concurrent with the new version of the aircraft was introduced a more powerful Rolls Royce Pegasus II engine. It was originally intended to be designated AV-8D. The Harrier II Plus is very similar to the Night Attack variant, with the addition of an APG-65 radar in an extended nose, making it capable of operating advanced beyond-visual-range missiles such as the AIM-120 AMRAAM. The radars were removed from early F/A-18 Hornets, which had been upgraded with the related APG-73. The Harrier II Plus is in service with the USMC, Spanish Navy, and Italian Navy. 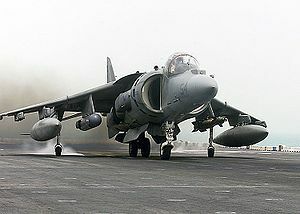 The AV-8B Harrier II is used by the military forces of three nations. The United States Marine Corps has operated the AV-8B and TAV-8B since 1985. The Spanish Naval air wing (Arma A�rea De La Armada) operates the AV-8B and AV-8B+, as well as a leased TAV-8B. The Italian Navy air wing (Aviazione di Marina Militare) also uses the AV-8B+ and TAV-8B. See BAE Harrier II for British Royal Air Force and Royal Navy usage. Picture - A US Marine Corps TAV-8B Harrier II. Picture - An AV-8B Harrier II Plus from the Spanish aircraft carrier Principe de Asturias (R11) prepares to land. Picture - An Italian TAV-8B Harrier II aboard Giuseppe Garibaldi (551). YAV-8B Two prototypes converted in 1978 from existing AV-8A airframes (BuNo 158394, 158395). AV-8B Harrier II "Day Attack" variant; no longer in service. Most were upgraded to one of the following two variants, while the remainder were withdrawn from service. 4 full scale development (FSD) aircraft were built in 1982, followed by 162 production aircraft, built 1983-1989. AV-8B Harrier II Night Attack Fielded in 1991; incorporates a Navigation Forward Looking Infrared camera (NAVFLIR). Upgraded cockpit, including compatibility with night vision goggles. 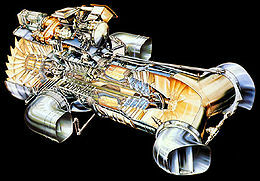 More powerful Rolls Royce Pegasus 11 engine. 1 prototype converted from AV-8B (BuNo 163853), 72 new aircraft were produced 1989 to 1993. This variant was originally designated AV-8D. AV-8B Harrier II Plus Similar to the Night Attack variant, with the addition of an APG-65 radar. It is used by the USMC, Spanish Navy, and Italian Navy. 72 were converted from existing AV-8B (receiving new BuNos), 43 were new built from 1993 to 1997. TAV-8B Harrier II Two-seat trainer version. 23 were built between 1986 and 1992. TAV-8B Harrier II+ Two two-seat trainer aircraft built for Italy 1990 to 1991. EAV-8B Matador II Company designation for the Spanish Navy version. 12 were built 1987 to 1988. EAV-8B Matador II+ AV-8B Harrier II+ for Spanish Navy, 11 were converted from EAV-8B, 8 were new built 1995 to 1997. See BAE Harrier II for the UK military version. Italian Navy has 15 AV-8B aircraft in service as of January 2010. Spanish Navy has 13 AV-8B+ aircraft in use as of January 2010. Picture - An AV-8B Harrier II landing aboard the USS Bataan. United States Marine Corps has 99 AV-8B+ aircraft in operation as of January 2010. Picture - AV-8 Harrier II being refueled by a KC-10 Extender. The Harrier's unique characteristics have led to it being featured in a number of films and video games. Donald, David; Daniel J. March (2004). 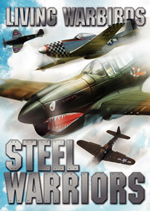 Modern Battlefield Warplanes. Norwalk, Connecticut: AIRtime Publishing. 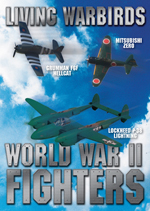 ISBN 1-880588-76-5. Markman, Steve and Bill Holder. "MAC-DAC/BAe AV-8 Harrier Vectored Thrust VTOL". Straight Up: A History of Vertical Flight. Atglen, PA: Schiffer Publishing, 2000. ISBN 0-7643-1204-9. Nordeen, Lon O. Harrier II, Validating V/STOL. Annapolis, Maryland: Naval Institute Press, 2006. 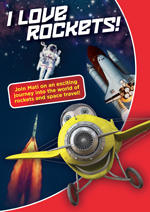 ISBN 1-59114-536-8.